Take a peek inside Kourt’s pristine pantry and you’ll learn a few things: 1) She has water bottles for days (non-plastic, of course). 2) Snacks, spices, and cereals are all perfectly in place (thanks to affordable baskets). 3) Never underestimate the power of a label maker. While this level of organization might seem intimidating, it really comes down to a simple set of essentials. 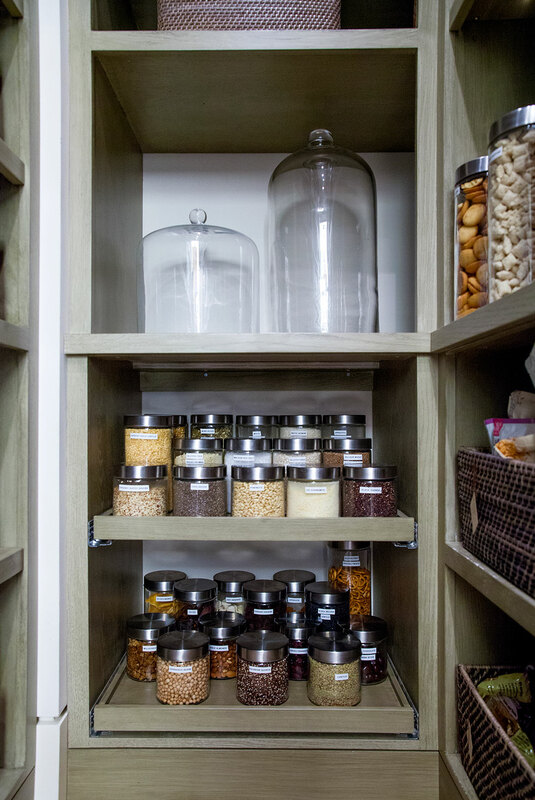 To kickstart your kitchen reorganization process, we’re breaking down how you can recreate the poosh-approved pantry below. Start with finding structured baskets that work for your space. Kourt uses a few different styles throughout her pantry: ones to store snacks that come in bags, like cookies and pretzels, and ones for condiments, like honey and her assortment of nut butter. 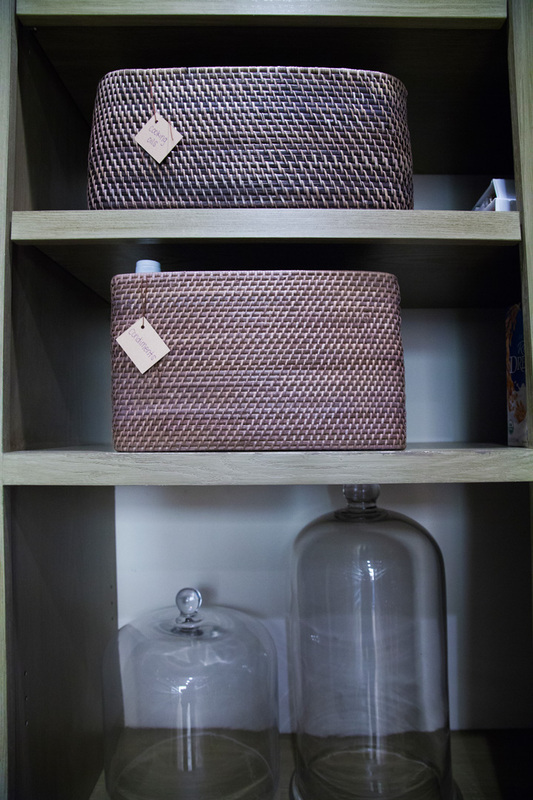 The baskets are both functional and aesthetically-pleasing (you never actually see the mess, unless you look inside). 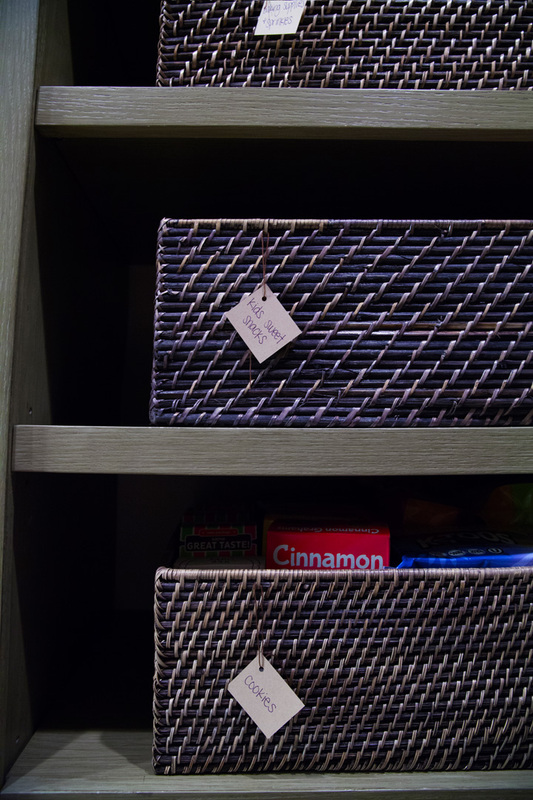 Organize the baskets into sections, like baking supplies, snacks for kids, spices, etc. Kourt hangs these chic tags on each bin so she can easily find what she’s looking for. Follow Kourt’s lead and use these stainless steel clips to keep your chips and bagged snacks from becoming stale. She also uses this Ikea bin to stock extra clips and reusable straws. 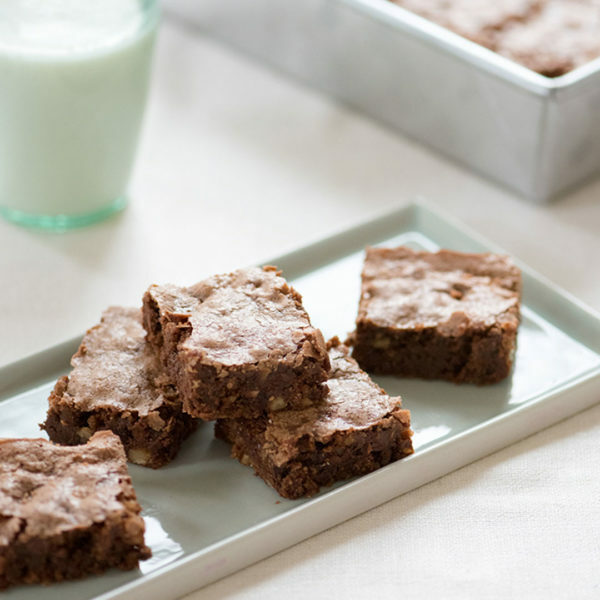 Store foods like cereal, rice, grains, and flour in clear glass jars. Recycle the original packaging and transfer it all to the sleek containers. This way, everything looks really organized and uncluttered. Kourt puts these stickers on the bottom of the jars with the expiration date, so she knows that everything is still fresh. Keep the items you use on a daily basis on display in the baskets, and other items that you don’t use as often in your drawers. Since Kourt is a tea connoisseur, she keeps her tea selection in an acrylic organizer (similar to this one, but without the lid). You can adapt this trick to store small packets of sugar or spices that you want to keep on hand. 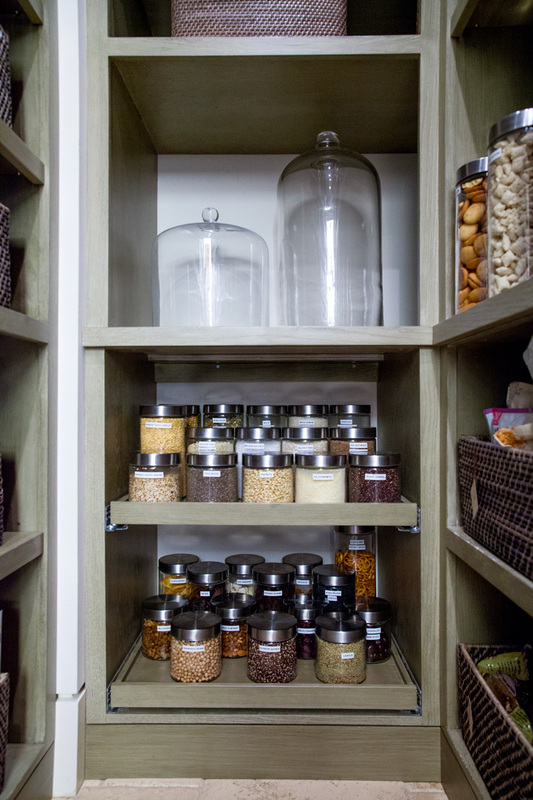 Now that you have all of the tips, shop the essentials you need to make your pantry space feel clean and organized. Share your results on social with us by using the hashtag #pooshpantrychallenge on Instagram.